If you are driving a car to or around Walt Disney World in Orlando, you’re going to need somewhere to park it. Here are all of the most common questions about Disney World parking answered in one convenient place. Is there free parking at Disney World? Yes and no. There is a fee to park at the theme parks (unless you are staying at a Disney World-owned hotel which includes free parking at the theme parks). Disney Springs (the dining and entertainment area formerly known as Downtown Disney or Pleasure Island). There are several surface lots and parking garages at Disney Springs and they all offer free parking. Parking is free at the Disney World water parks: Typhoon Lagoon and Blizzard Beach. You can almost always park for free at Disney World resort hotels for up to three hours (more on this later). How much does parking cost at Disney World theme parks? 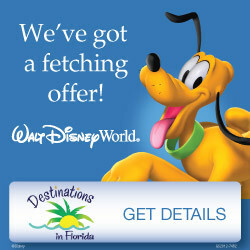 You can use a credit card to pay for parking at Disney World, as well as cash and Disney Gift Cards. Can you leave Disney World parking and come back? Yes! You will pay one price for a parking pass good at all four theme parks for that day. You can leave or switch parks as much as you’d like. Where is the parking at Disney World? 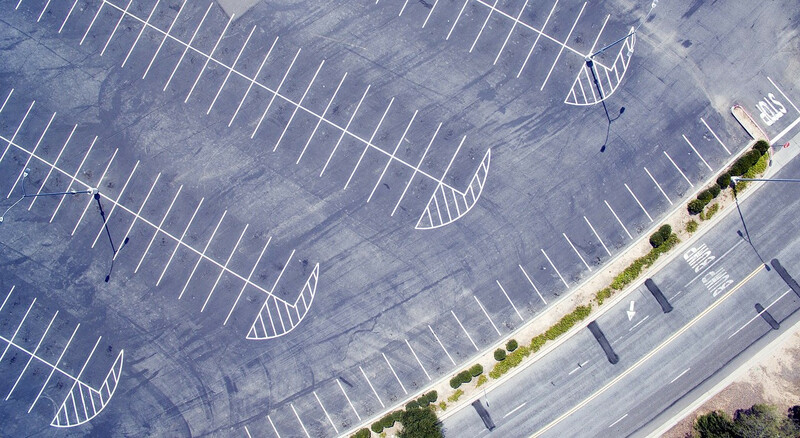 There are separate parking lots for each of the four theme parks at Disney World: Magic Kingdom, Epcot, Hollywood Studios, and Animal Kingdom. The parking lots at Epcot, Hollywood Studios, and Animal Kingdom are directly adjacent to the theme parks. You can walk from your car to the front entrance of the park or take the free trams. 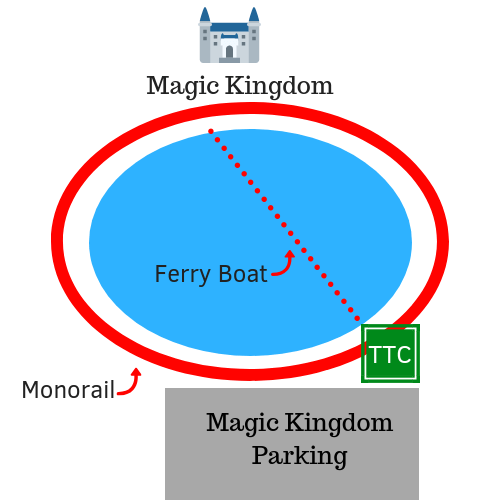 The Magic Kingdom parking lot is located across the Seven Seas Lagoon from the theme park at what is known as the Transportation and Ticket Center (TTC). I suggest planning for 20-30 minutes to get from your car to the front entrance to Magic Kingdom via monorail or ferry. Trams are also available to bring you to the TTC from your car. Do you have to pay for parking if an Uber driver drops you off? No! 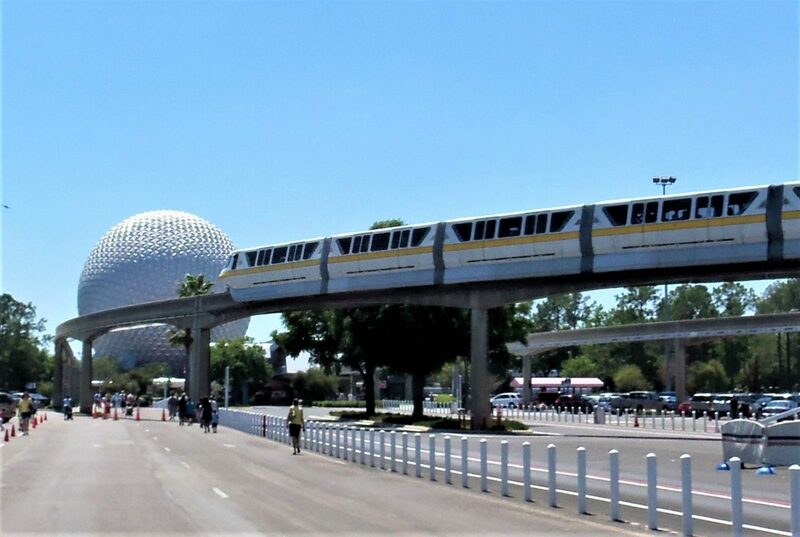 This is one great reason to use Uber or Lyft to get to/from the Disney World theme parks (get all of my tips for using ride shares at Disney World in this post). You won’t have to pay any fees for Disney World parking if you use Uber or Lyft to get to the parks. 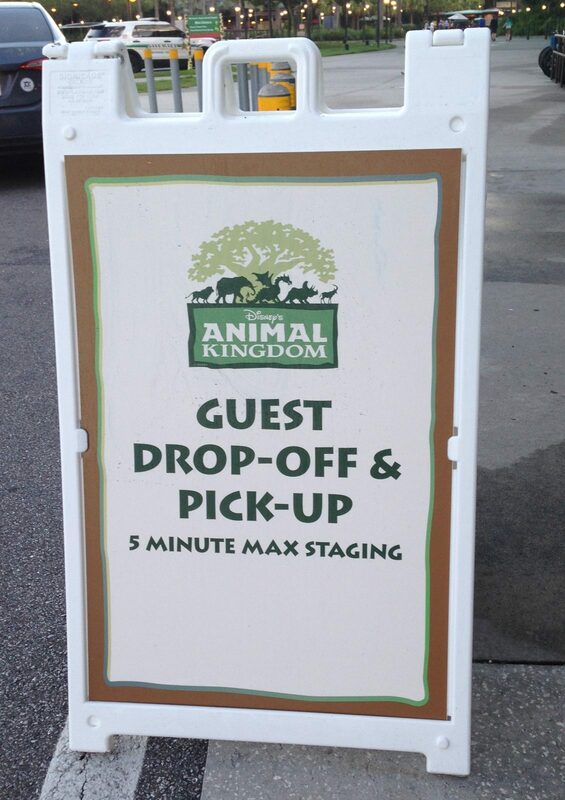 When your driver goes through the gates, they are given a 30-minute pass for dropping off or picking up passengers. Your driver doesn’t have to pay for parking and doesn’t pass the parking charge on to you! Can’t I just park for free at Disney Springs and take a bus to the theme parks? If it were only that easy… sigh. While you can park for free at Disney Springs, there is no bus service to the theme parks from there. You would have to take a bus to a Disney resort, then take a bus to the theme park from there. Considering that you could spend up to two hours waiting for and riding buses, I highly recommend paying the daily parking fee and just parking right at the theme parks. Do Disney World Hotels charge for parking? If you are parking a car overnight at a Disney World resort, parking charges will be added to your room charges upon checkout. All parking fees include tax. Check out this post for three ideas for avoiding the parking fee at Disney World hotels! Most Disney hotels will allow you to park there for free during the day for up to three hours in order to dine at a resort restaurant or just walk around and explore the resort. The exceptions are the monorail resorts (Contemporary, Polynesian, and Grand Floridian) which may require a dining reservation in order to park there. This may also apply at the Boardwalk and Beach and Yacht Club hotels on weekend nights and during Epcot Food & Wine Festival. 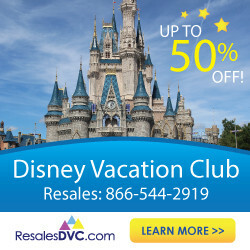 Is there Valet Parking available at Disney World? Yes, there is valet parking available at many places in Disney World. 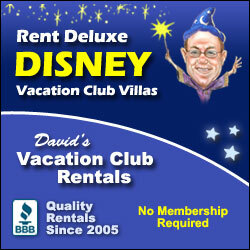 Valet parking is available at some Disney World Deluxe Resorts and Disney Deluxe Villas. It is $33 and includes tax. Is There Disability Parking at Disney World? Yes, there is disability parking (aka handicap parking) available throughout Walt Disney World. You will need a valid disability parking permit and parking fees will apply. If you have a disability permit and are using an electric scooter, wheelchairs, or other mobility devices can park in the designated Disability Parking spots in each of the four theme parks. Guests able to walk a short distance will be asked to park in a standard spot and walk to the trams, though you can request a spot at the end of the row to minimize walking. Designated Disability parking is also available at Disney Springs, Disney Resort Hotels, and Disney Water Parks. 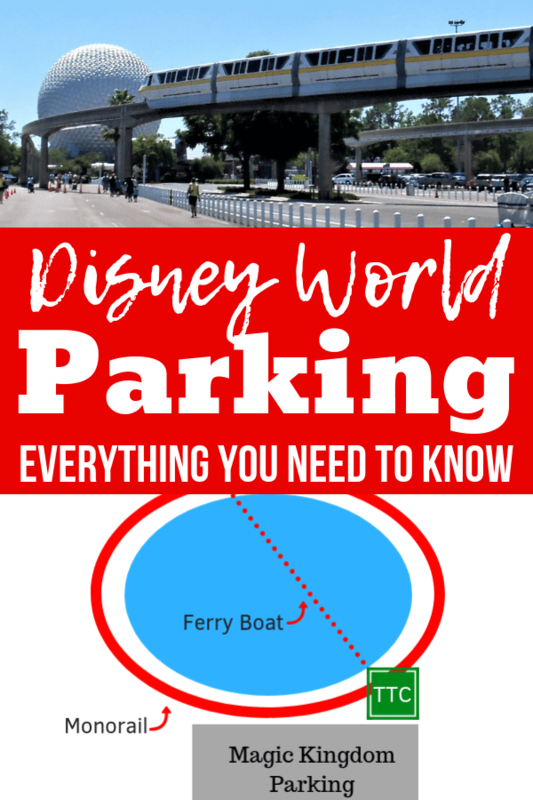 I hope this post answered all of your questions about Disney World parking! 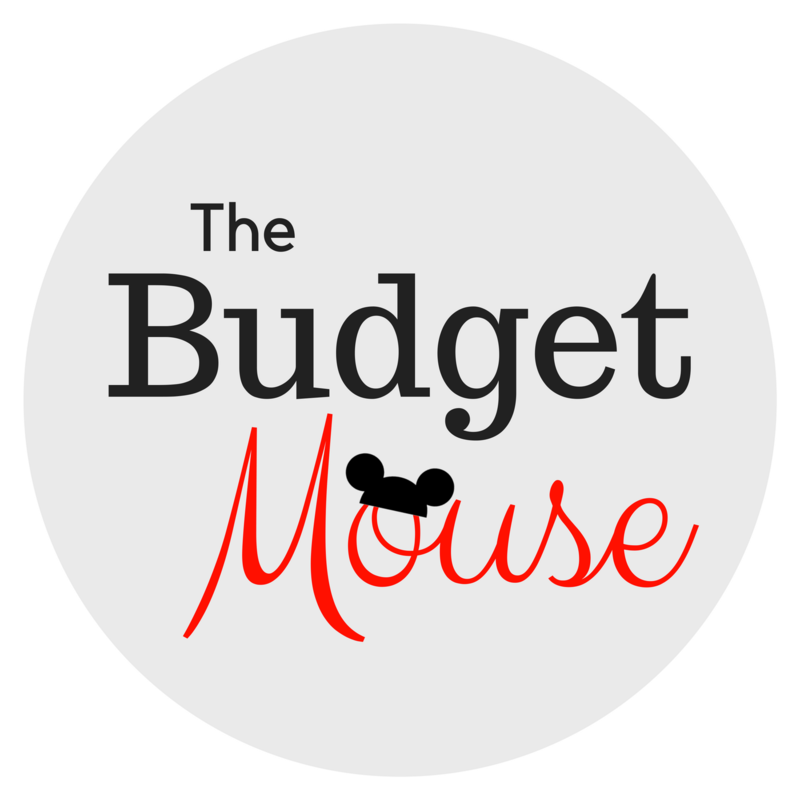 Please let me know if there is something I missed or you have any further questions in a comment below or join the discussion in my free private Facebook group for The Budget Mouse!